In 1960, the entire island of Cyprus had a total population of 573,566. Greek Cypriots comprised 77% while Turkish Cypriots 18% and other nationals accounted for the remaining 5%. After 1974, population census covered only the areas controlled by the government of the Republic of Cyprus and only estimates had been available for the territory controlled by Turkish Cypriots. Based on the combination of census and estimate, the present population of the island is placed at a little over one million with 778,700 in the territory controlled by the government of the Republic of Cyprus and 265,100 in the territory controlled by Turkish Cypriots. The Republic of Cyprus (aka Southern Cyprus) is the third largest island in the Mediterranean. One of the most popular destinations for tourists in the area, it is located north of Egypt, east of Greece, south of Turkey, and west of Syria, Lebanon, and Israel. The Republic of Cyprus is one of the advanced economies in the region and has been a member of the European Union since May 1, 2004. Formerly a colony of Great Britain, Cyprus gained its independence in 1960. For 11 years from 1963 up to 1974, there were sporadic conflicts between the Greek Cypriots and Turkish Cypriots. Turkey invaded and occupied the northern portion of the island in 1974. The invasion displaced many thousands of Cypriots and led to the establishment of a separate Turkish Cypriot political entity in the north. A narrow buffer zone between the two Cypriot ethnic groups is maintained by a UN Peacekeeping Force. The European Union is providing diplomatic assistance in the on-going negotiations for the two sides to reach agreement for re-unification. The island of Cyprus has a central plain with mountains to both north and south. Along the coasts, there are scattered but significant plains in the southern part. 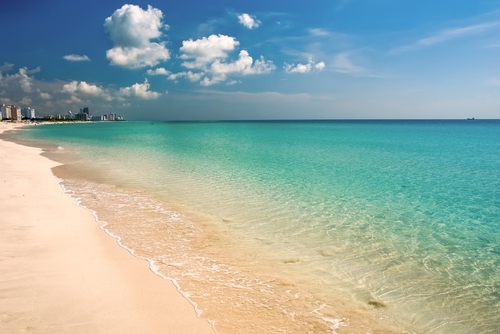 Cyprus has a typical Mediterranean climate, warm and rather dry, with rainfall mainly between November and March. 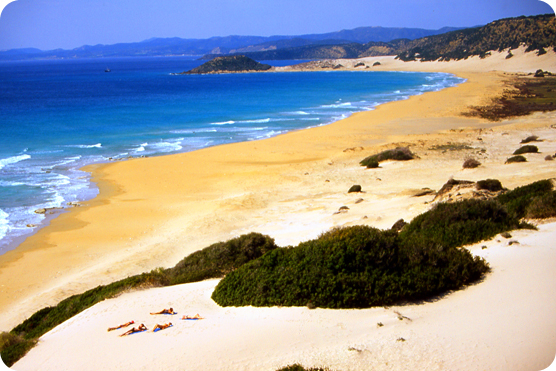 In general, the island experiences mild wet winters and dry hot summers which are separated by short autumn and spring seasons. The higher mountain areas are cooler and moister than the rest of the island. Nicosia is the capital of the Republic of Cyprus and the largest city. The other cities are Larnaca, Limassol, and Paphos. Archaeological findings indicate that Aetokremnos on the south coast of the island had settlers around between 10,000 and 8,200 BC. Mycenaean Greeks arrived around 1600, and Assyrians conquered the island in 709 BC. Alexander the Great annexed it to the Greek Empire, and later the Romans to the Republic in 59 BC. Cyprus became part of the Byzantine Empire in AD 395 and then the Ottoman Empire by AD 1570. After the Russo-Turkish War, the island was ceded to the British Empire in 1878. On August 16, 1960 Cyprus attained independence. Turkey invaded and occupied the northern portion of the island in 1974. 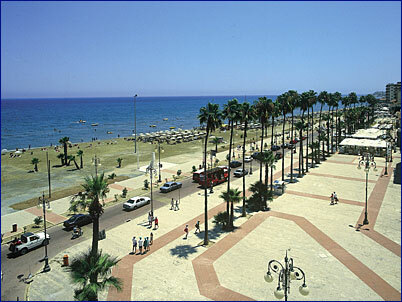 Cyprus has reached great levels of prosperity, with a booming economy and good infrastructure. It is part of the United Nations, the European Union and several other organizations that recognize it as the sole legitimate government of the whole island. Nicosia, the capital of Cyprus, was divided into the South Sector controlled by the Republic of Cyprus and the North Sector controlled by the Turkish Cypriots. Called Lefkosia by the locals, Nicosia has many historical places. There is the Famagusta Gate, which is one of the entrances to the city through the city walls. Others are the Folk Art Museum and the Byzantine Museum and Art Galleries. In Guzelyurt, there is the Guzelyurt Museum with a collection ranging from the prehistoric age of Cyprus to the Byzantine period. St. Mamas Monastery dates back to the 18th century and contains art going back to the 16th century. The Kyrenia castle was constructed to protect the town against the Arab raids in the seventh century. The Shipwreck Museum, located within the castle, houses the oldest recovered shipwreck in history. 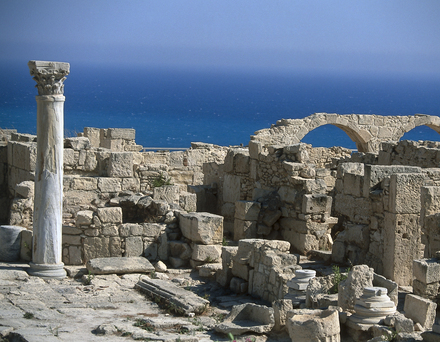 In Paphos, one finds the Tombs of the Kings just outside of the town. There is also Paphos Odeon, a second century Odeon built out of limestone which is still used for performances. There are wonderful bars and restaurants within the old walls of the city and of course the 'green line' - the dividing line with the Turkish part of Cyprus, which cuts through the center of Nicosia. Evening entertainment is provided at the Holiday Inn, Four Seasons, Le Meridien, Hilton, Elias Beach Hotel, and others. There are many casinos in Cyprus for those who enjoy gambling. Many have their own bus service to take you to and from the casino. They are open late and often provide live entertainment. Global and cosmopolitan in orientation, these are perfect places of entertainment for people who enjoy going out and rejuvenating after a very busy day. Assorted fine liquors and liqueurs are served along with savory and mouth-watering food and food items. The line up of options to choose from is subject only to one’s preferences in terms of taste, palate and wallet. The rich and diverse culture in Cyprus is reflected by the many archaeological and antiquities sites scattered around the island, dating from the New Stone Age through to the Roman Empire. The traditional folk music of Cyprus has many common elements with Greek mainland and island folk music, including dances like the sousta, syrtos, zeibekikos, tatsia, and the kartsilamas. Greek and European influences are reflected in ancient literature including poetry. Stoic philosophy was founded by the Cypriot Zeno of Citium. Epic poetry flourished during the Middle Ages. 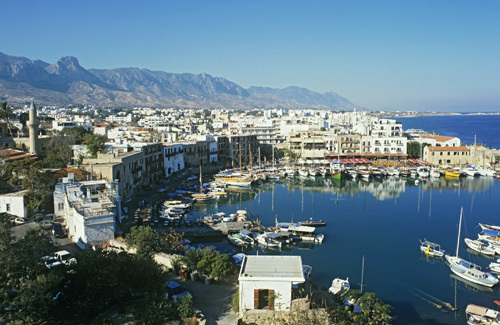 The majority of the play Othello by William Shakespeare is set on the island of Cyprus. Cyprus also figures in religious literature, most notably in the book of Acts of the Apostles, according to which the Apostles Barnabas and Paul preached on the island. Modern literary figures from Cyprus include the poet and writer Kostas Montis, poet Kyriakos Charalambides and poet Michalis Pasardis, among many others. With distinct influence from Greek cooking, Cypriot food uses lemons and olives extensively. Fresh vegetables and fruits are common ingredients in Cypriot cuisine. Cucumber and tomato are used widely in salads. Common vegetable preparations include potatoes in olive oil and parsley, pickled cauliflower and beets, asparagus and kolokassi. There is a wide range of fruits to choose from the whole year round. Seafood and fish dishes of Cyprus include squid, octopus, red mullet, and sea bass. Halloumi, a popular cheese made from a mixture of goat's and sheep's milk, originates from Cyprus, and is commonly served sliced, either fresh or grilled, as an appetizer. Other traditional delicacies of the island are meat marinated in dried coriander, seeds and wine, and eventually dried and smoked, such as lountza (smoked pork loin), charcoal-grilled lamb, souvlaki (pork and chicken cooked over charcoal), and sheftalia (minced meat wrapped in mesentery). Pourgouri (bulgur, cracked wheat) is the traditional carbohydrate other than bread.